You are here: Home / Natural Fine Planetary Talismans / Natural Organic White Coral set in Talismanic Lunar Pendant-Italian Organic White Coral. Natural Organic White Coral set in Talismanic Lunar Pendant-Italian Organic White Coral. Comments White coral is the calming gem for a malefic Mars! This Italian White Coral is a fully natural untreated and potent gem. The best creations are from nature, and this one is right up there! 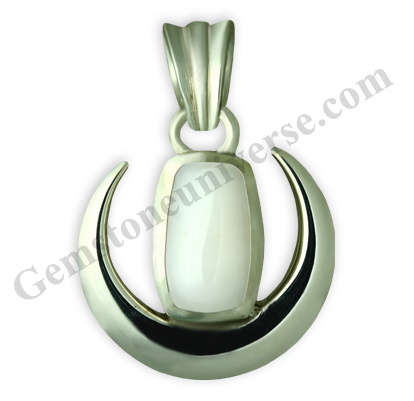 Set in a nice Talismanic Lunar pendant the White coral is used for the special position of Mars in Cancer. White Coral from Italy fully Natural with no dye or coating. The market is flooded with synthetic White Coral which is nothing but plastic, enamel or camel bone that is treated. The same was posted about the Red Corals in the blog previously. You can read more about that by clicking here.